In this 4-Day Impressive Oriental Moscow Tour of Harbin, we will experience one of the coldest winter in China, explore an ice sculptures world in Harbin Ice Festival, visit the largest Orthodox Church in China，and experience oriental Moscow culture at Volga Manor. This will be an unforgettable winter in your lifetime. Driver Service (one-way airport to hotel): Upon arrive in the exquisite and historic Harbin City, you will be met at the airport by the local Chinese speaking driver and transferred to the hotel, where the staff will assist you with your check in if room available. Free at leisure for the rest of the day. Driver and Guide Service: Today we will start our tour at the largest Orthodox church in the Far East –ST,Sofia Church. Then have walk on the Central Street to find some facts about Harbin’s history and culture. Move to the Sun Island Park where the Sun Island Intermational Snow Sculpture Art Expo is held every winter and you can see various awesome snow sculptures featuring different cultures. Later, transfer to the Siberian Tiger Park where we’re caged in a specially protected bus to see the tigers and lions. 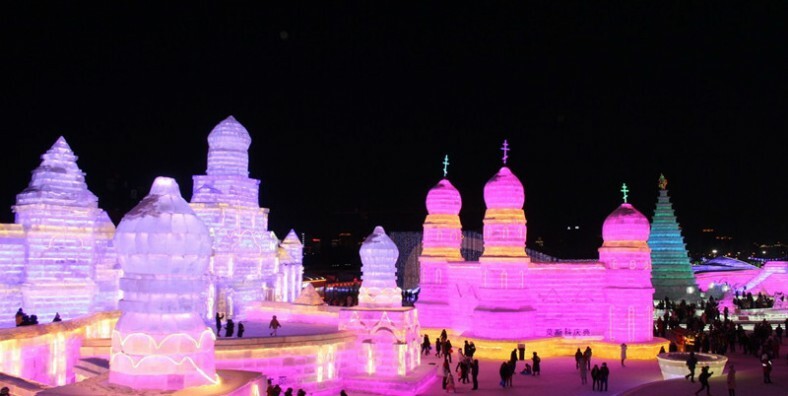 In the late afternoon, transfer to explore the highlight of the Harbin Ice Festival – the Ice and Snow World (no guide service in the park for group of less than 5 people). 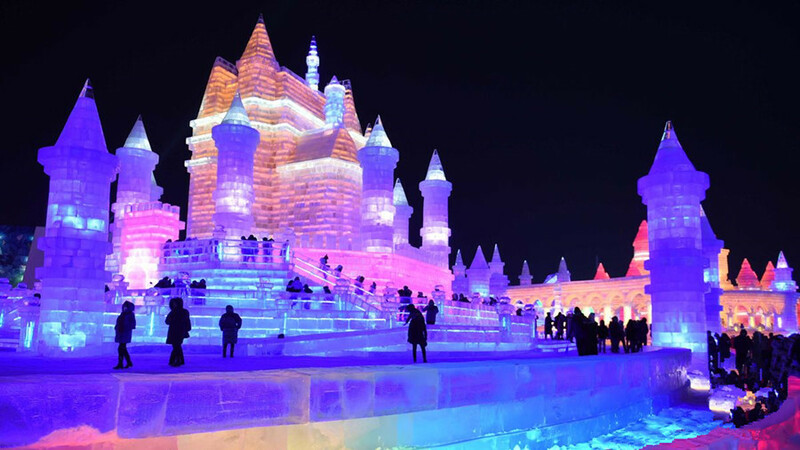 You will indulge in this winter wonderland, marvel at the magnificent exquisitely-detailed, gigantic ice sculptures. View fabulous creations of notable buildings and monuments of different architectural types and styles, figures of animals, people, mythical creatures, ice slides and lanterns. 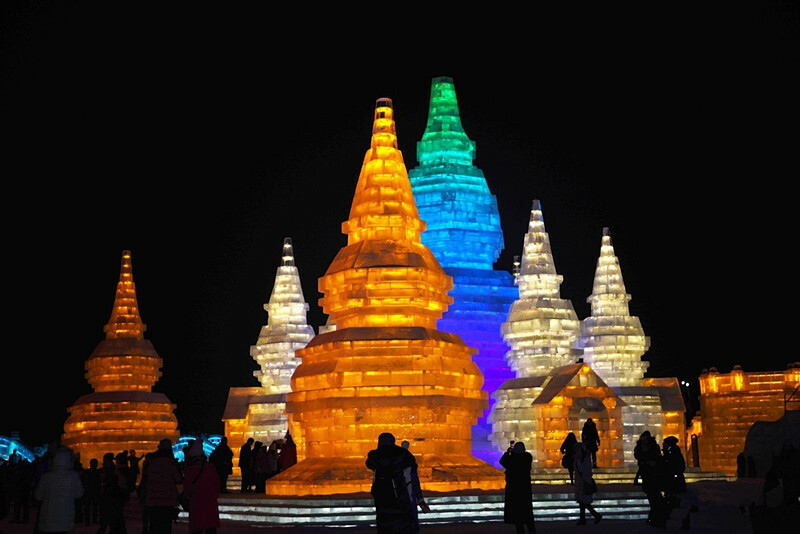 When evening sets in, multicolored lights illuminate the sculptures, creating a breathtaking display of these icy works of art. Transfer back to your hotel and free evening. Driver and Guide Service: Today, we will make an excursion to the beautiful Harbin Volga Manor a Russian culture theme garden, complete and full of exotic manor. The manor has beautiful scenery, with large gardens, Russian style buildings and tidal flat wetland. In the manor, you can also do some interesting optional activities, such as snow tubing, ice sliding, etc. 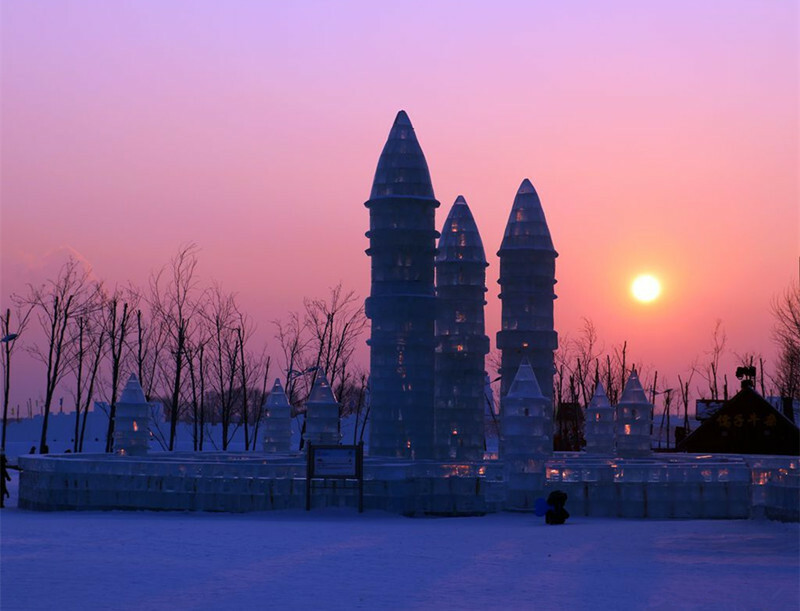 Transfer back to the city and watch the Ice Lantern Show in Zhaolin Park. The magical and extraordinary ice lanterns and sculptures have literally made the park an icy wonderland. Driver Service (one-way hotel to airport):After breakfast, say goodbye to Harbin before we drive to the airport, where the tour ends. Airfare, tax and fuel surcharge. The quotation is different for China Public Holidays. For instance, Chinese Spring Festival,Tomb-sweeping Festival, Labor Day, Dragon-boat Festival, Mid-autumn Festival, China National Day, etc. Please note that we reserve the right to make some necessary alterations caused by accidental forces. In this case, any increase or reduction of the tour cost will be calculated and we will deal with it accordingly.